Playing by Heart releases one month from today--read the first chapter now! Welcome and a big THANK YOU to all my new subscribers. I was fortunate to meet many of you at the Catholic Writers Guild Conference in June. The purpose of this newsletter is to provide updates about my publications, class info, and creativity tips. I hope you find it interesting and informative. If you're a longtime subscriber, you may notice this issue looks a bit different. I've revised the color scheme to complement the updates to my website. If you get a chance to check out the website, let me know what you think. My debut young-adult novel, Playing by Heart, will be released by Vinspire Publishing on September 30! "I read this novel in a single sitting! The story of sisters Emilia and Maria Salvini is riveting, rich, and like a lovely piece of music, impossible to forget." "Martino explores the gilded passageways of Hapsburg-era Milan's white aristocracy with technically accomplished descriptions of privilege, luxury, and teenage longing." "The story provides a look into the fascinating world of 18th-century Italy in a way that no history book ever could. The fact that Playing by Heart is based on the lives of extraordinary real women who were quite ahead of their time makes it a must-read addition for school libraries everywhere." "A beautifully composed tale of love, faith, and family!" You can read more review excerpts on the book's page of my website. If you'd like to get a sneak peek at Playing by Heart for yourself, the publisher has a link to where you can read the first chapter now. See the Playing by Heart page of their website for details. The "Buy" links on that page will be activated soon, in case you'd like to pre-order the book. While you're at the Vinspire website, you may want to subscribe to their newsletter for information about their great giveaways and upcoming releases. Click on the image below and scroll down to the bottom of the page. 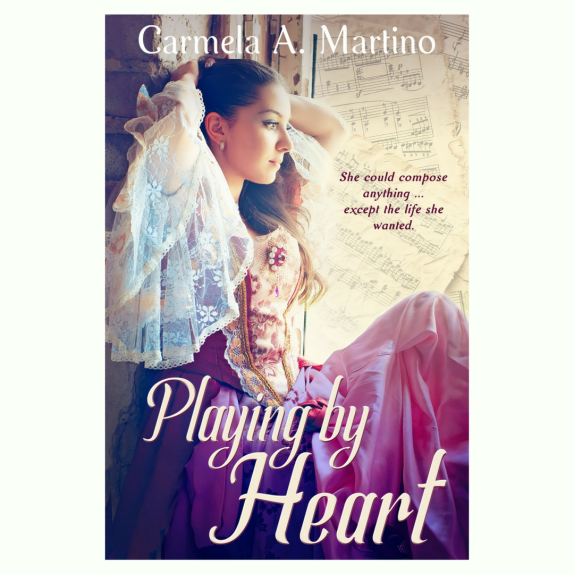 For those of you in the Chicago area, I'm planning a book signing for Playing by Heart at 2 p.m. on Saturday, October 28, at Anderson's Bookshop in Naperville, IL. The signing isn't listed on their calendar yet, but it should be soon. If you don't live in the area, or can't make it that day, not to worry. I'll also be having a Facebook Launch Party, tentatively scheduled for Tuesday, October 17, from 7:00-9:00 p.m. Central Time (8:00-10:00 p.m. EST). I'll be offering fun giveaways every 15 minutes, so you needn't attend for the full 2 hours to have a chance at a prize. I'll have more details in the next newsletter. I was honored to be one of the faculty members with a "spotlight" bio in the College of DuPage Continuing Education Fall catalog. You can read the piece on page 11 of the catalog, which you can find online here. 9 a.m.—3 p.m. Unfortunately, they forgot to mention that students should bring a sack lunch. You can register online here or call the Continuing Education office at (630) 942-2208. Please register at least two weeks in advance so the class isn't canceled for low enrollment. If you're interested in writing for children or teens, I highly recommend you attend the annual Society of Children's Book Writers and Illustrators (SCBWI) Illinois Chapter annual conference, Prairie Writer's & Illustrator's Day, on Saturday, Nov. 4, at Harper College in Palatine, IL. It's an opportunity to hear editors and agents speak about the craft of writing for young readers and the state of the industry. There's also the opportunity for manuscript critiques but registration opened last Saturday and those spots are filling quickly. See the event website for details. If you do register, let me know because I'll be there, too! In my last newsletter, I encouraged you to make time for fun, and I mentioned that this month's topic would be about "filling your creative well." (If you missed it, you can read that newsletter here.) I myself was planning a summer vacation, so I figured I'd have plenty to say on the topic. We left on July 28 for two nights in Seattle, followed by an Alaskan cruise--my first cruise ever. We were blessed with amazing weather. I actually got sunburned in Seattle! 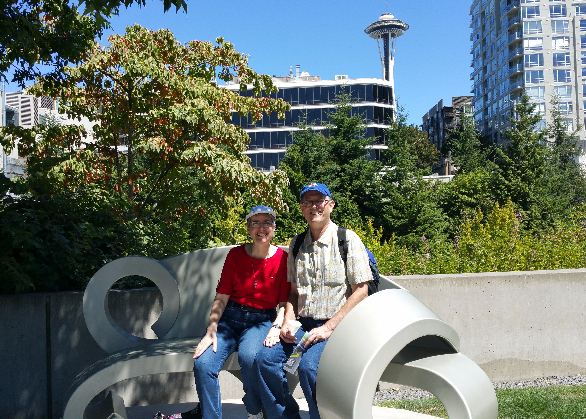 Below is a photo of my husband and me taking a break during our visit to the Sculpture Park. Can you spot the Space Needle in the background? I didn't realize until just a few days before leaving home that I'd be without Internet and email access for most of the cruise. (We could have purchased access, but I decided it wasn't worth it.) Wow! What an eye-opening experience. I learned I could not only survive without Internet access but actually thrive. "Engaging creatively requires hitting the reset button, which means carving space in your day for lying around, meditating, or staring off into nothing. This is impossible when every free moment—at work, in line, at a red light—you’re reaching for your phone. " I'd read and agreed with this statement, but it wasn't until I was on the cruise, with a phone I couldn't use for anything besides taking pictures, that I really absorbed its meaning. Of course, the cruise itself brought its own "busy-ness," as we participated in onboard entertainment and offboard excursions. But we were also blessed with long bus and train rides where I ended up staring out the window at the scenery and searching the hillsides for wildlife. During those times I experienced sudden bursts of ideas. All sorts of ideas--for plots, characters, settings, etc. My mind was deliciously daydreaming. 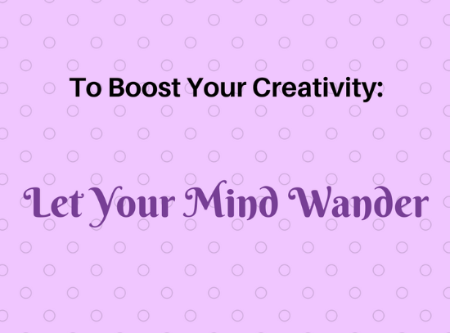 by tasks that allow the mind to wander." This probably seems obvious. Still, how often do we give ourselves permission to daydream? So many times, I sit paralyzed at my keyboard trying to figure out what should happen next in a story or how to word something I'm trying to say in an article. Endless minutes tick by without an answer. My vacation experience reminded me that I'd be much more productive if I just took a break and did something that let my mind wander. Don't reach for your phone! Instead, step away from your computer or tablet and go for a walk, do the dishes, take a shower, go for a long drive, or do anything else that frees your mind to daydream. Hopefully, you'll receive some wonderful new insights and ideas. Copyright © 2017 Carmela A. Martino. All rights reserved.